Platform End is an archive for all things related to Manfred Mann's best known group – Manfred Mann's Earth Band covering the period 1971 to date. Also included here are items covering all aspects of Manfred’s long and varied career in music. In this site you can find reviews, pictures, band interviews etc..
Belated, but the gig in Helsingborg last month was fantastic: I flew over from Gatwick in the morning, back home the next day. I've got Steve's song prompt as a souvenir. Best thing I've done all year, thankyou. Can't wait for Graz and Stavanger. Geil wäre es eine CD rauszubringen, wo alle Sänger der MMEB zusammen die Hit´s Singen. Angefangen mit Paul bis zu Robert. Das hätte was!!! i was shocked to see the song that won the lyric section of the American Song Contest was damn near like you Frog song -- what's up with that? the man would rather have a talking frog. how can a person compete with possible plagiarism?? Being a MMEB fan since my 15, now I wonder why the Band still hasn't any albums in 5.1 Surround sound and Hi-Res edition? Best of all it would be full catalogue (the Black Box) or... most fabulous albums on Blu-ray Audio 5.1, DVD-Audio 5.1, SACD 5.1. Please, give this idea to Mr. Mann! Sorry no idea regarding the signed vinyl box set. In terms of Plains Music, yes there was a vinyl version released. According to Discogs, Intuition Records INT-3062-1 in Germany and PVB Music PVBC 13, PVBC (D) in South Africa. Have a look at Discogs.com. Hope that helps. Great to see these tour dates being archived - so my very first live concert was The Hague februari 1983 when I was 14! Some years ago there was a vinyl box set with all MMEB records signed by Manfred for sale - is that still available? And has 'Plains Music' ever been released on vinyl? Cheers from Amsterdam, keep up the good work and play on! Manfred Mann were you ever at Watford Jazz Club late 50's early 60's because I think we danced together. If you have a look at the Tour Archive (almost) all the dates are there. Any chance of gigs in the UK or France later in 2019 ? 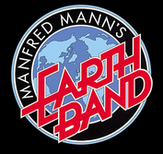 I saw Manfred Mann's earth band in Paris when they were fronting for Uriah Heep. 1975 or 1976. Does anyone have the exact date ? Thanks for the updates, I have updated the Tour Archive to add your dates. Hi Nigel. I have done some research on when Manfred toured Australia in 1971. The first two gigs were Thursday 6 May in Perth WA at Beatty Park Aquatic Centre (generally just referred to locally as Beatty Park) and Friday 7 May in Melbourne VIC at Festival Hall. You may want to adjust your itinerary of dates. Happy to discuss. Good to see someone in here maintaining access to Platform End! Can someone let me know who opened for MMEB in Ulm, Germany on May 21, 1979. Thanks for the comments, apologies for taking a couple of days to add your comments - I am just back from the gig in Stockholm, glad you enjoyed the gig and hope to see you at future ones. Thanks for the gig info, I will check them out and get them added to the Tour List. I just want to thank You for Your performance at Göta Lejon Stockholm on 5/3-2019. I am sure I saw the Earth Band concert in 1976 in the Torquay/Paignton area, at short notice as a warm up for the Roaring Silence tour, possibly in July or August. Hi. Missing gig from your list? The band played Keele University, Staffordshire on 14/3/79. I have the ticket (if you want a jpg copy for the website). My friend says he remembers Chris Slade playing a drum solo in the encore Mighty Quinn, but I reckon he’d left the year before. Maybe Chris played a guest performance...before JohnL joined?? Anyone? When will you gents be hitting the States?! Really hope you can make it Detroit/Motown/JazzFest way – beyond making and appreciating great music, we know a thing or two about building high-revvin' deuces. I really really love everything that you and the gangs have ever done and hopefully will continue to do until the platform end. Julan, the forum was being plagued by spam posts and was less and less used so has been taken down. So what happened to the forum?! Please !!!!! Come to France !!!! Do not forget us ! Thanks again for your great music ! Please can you arrange a couple of dates in England soon? Frome was brilliant, as always! I have recently rediscovered Joybringer, Blinded and Might Quinn as very happy times and as a result have discovered much more en route. Thankyou. You are an inspiration and comfort.